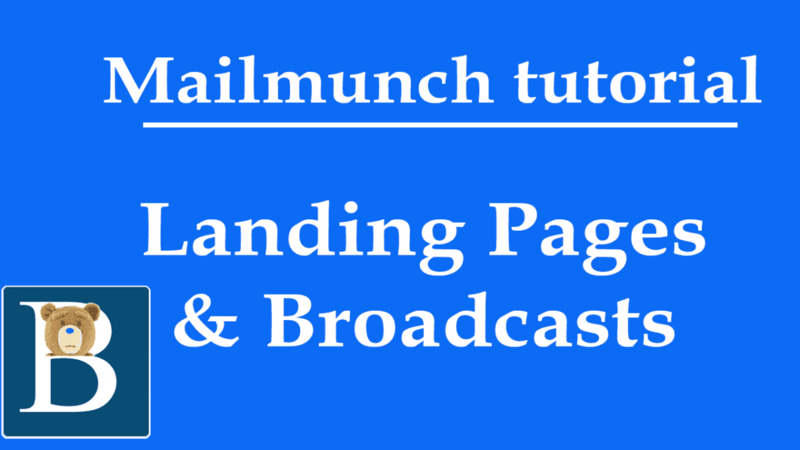 Watch the Video above so that you may learn how to create landing Pages and broadcasts. A broadcast on Mailmunch enables you to email your entire list. Think of Broadcasts as newsletters or email campaigns. Then choose a template . Click on Save and Continue. Go to the next step where you’ll need to create the content. Design your email in your own way. Watch the video above for more. In the Send step, confirm your email has no errors by sending yourself a test email. You may finally send out the Broadcast. Create landing pages and use them to capture leads. You’ll Grow your email list by promoting the landing page on social media organically or via paid campaigns. The process of creating a landing page begins by choosing a theme to edit. You will then be able to edit your template using the drag and drop landing page editor. The created pages are mobile friendly by default. Your web visitors on mobile will be able to experience your landing page with the best User experience. The pages are responsive by default. In the video above, I also showed you how to make videos responsive too.